We are very proud to be able to sell one-of-a-kind greeting cards that are painted by a young woman named Abigail Brown. As a talkative and rambunctious 3-hear-old, she contracted Rocky Mountain Spotted Fever. Her condition was misdiagnosed, resulting in extensive brain damage that left her unable to talk and severely impaired physically. 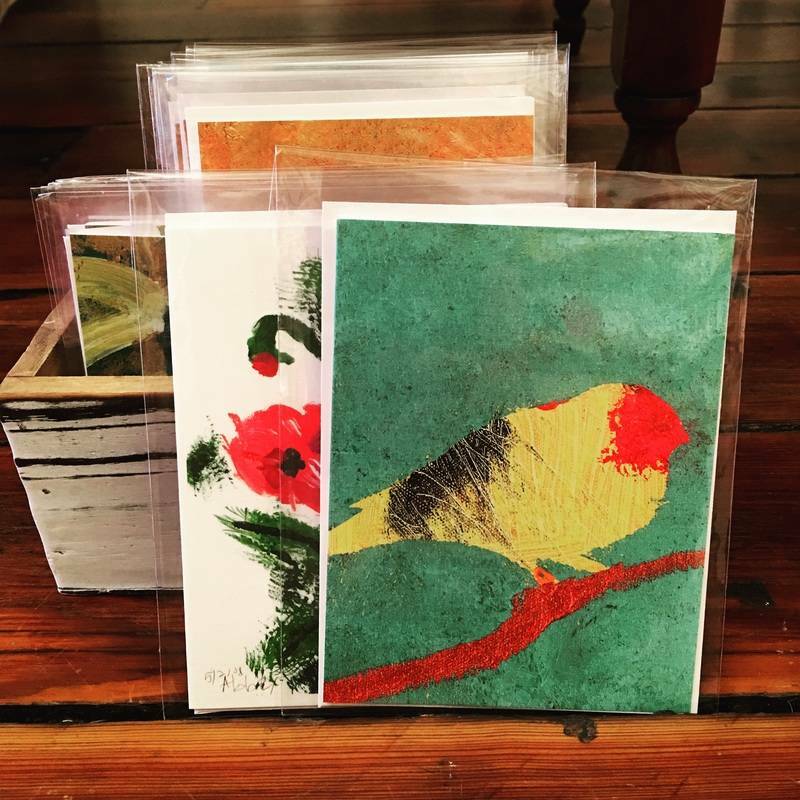 We are very proud to be able to sell one-of-a-kind greeting cards that are painted by a young woman named Abigail Brown. As a talkative and rambunctious 3-hear-old, she contracted Rocky Mountain Spotted Fever. Her condition was misdiagnosed, resulting in extensive brain damage that left her unable to talk and severely impaired physically. She currently uses a communication device to "speak" and struggles with the daily tasks most accomplish without thought. With limited use of her hands, Abigail considers her ability to paint a gift from God. It is her prayer that these cards serve as a reminder of His goodness to us. You can get more of her story at www.silent-inspirations.com and follow her inspirational blog. We hope you will drop by and see her cards in our store first hand.